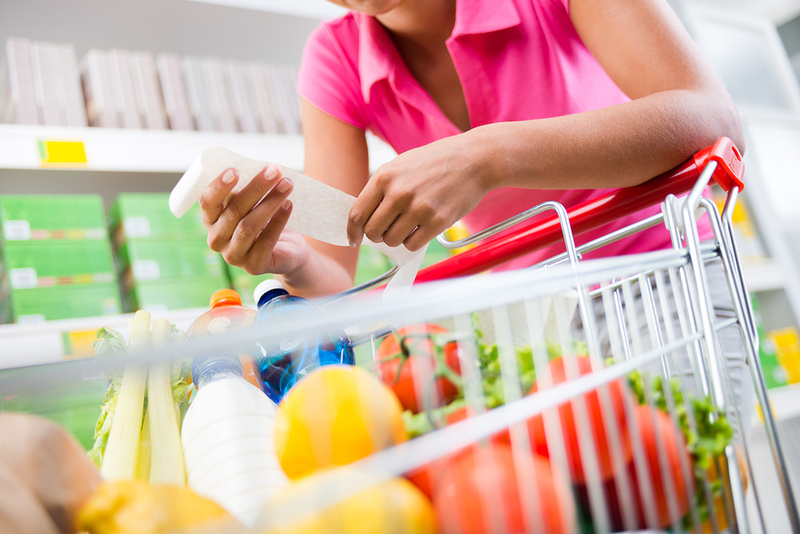 HealthTalk: Want to save money on healthy groceries? Read these expert tricks. Q: What are some tricks for saving money on groceries while still eating healthy? If you are like the average American household, food is your second largest expense category, so saving money week after week can really add up. While you may think buying healthy foods means paying more, that is not necessarily true. And the costs of eating healthy can pay back years down the road in good health, by lowering your risk of cancer and other chronic diseases. You can maximize savings by using more than just one strategy. –Make healthy choices based on the Nutrition Facts Panel and ingredient lists that show a food is minimally processed, rather than paying more based on package claims. 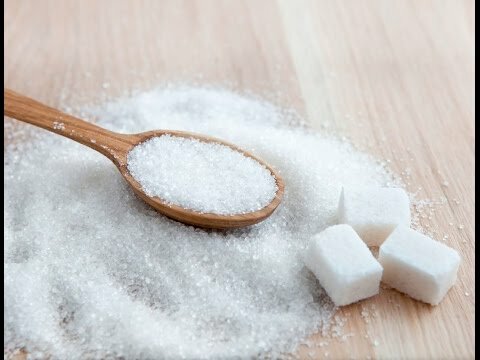 A food labeled “natural”, for example, can be more expensive than other choices, but just as high in sugar or salt. –Frozen seafood is often a better value than what you find at the fresh seafood counter, and you can stock up when it is on sale. In fact, if you look closely at the fresh seafood counter, you will often see “previously frozen” in small print anyway. When stored and thawed properly, frozen seafood can be just as nutritious and delicious as fresh. –Shop the inner section of aisles for bargains instead of relying on end-of-aisle displays. Although those high-visibility areas may look like special sales, that is not necessarily so. By looking in the main section of the aisle, you will sometimes find another brand or a different size that is an even better buy. –Look for in-season vegetables and fruits in the fresh produce section. But frozen and canned options (without added salt or sugar) can be just as healthy and may offer a better buy for choices that aren’t in season. They also help avoid spending money on food that goes bad before you use it, since you can open just what you need. Be selective. For example, even with a coupon for frozen vegetables with sauce or a seasoned rice mixture, you will likely pay even less and get a lower sodium, more nutritious product by opting for plain frozen vegetables or whole grains and seasoning them yourself. Be pro-active about getting coupons for products you like by following some of your favorite brands on social media or periodically visiting their websites. Look beyond products with a coupon to zero in on the best deal. Make a quick comparison of prices on other brands and the generic store brand. –Check shelves’ unit pricing (price per pound or gallon, for example). But if you won’t be able to use the large amount while it is still fresh, then your total bill will be less if you buy only the amount you need. –Be especially cautious about occasional treats in an “economy size”. You may pay more per unit for a smaller container, but it will help you avoid going through these treats faster than intended when you have extra amounts on hand. –Follow a shopping list to avoid aisles with food you don’t plan to buy. Grocery store research shows that once you go down an aisle, you are more likely to buy something there, including impulse buys. How you shop can make a cost-cutting goal harder or easier to meet. –Bolster your resistance to impulse buys. Beautiful arrays of colorful produce and tempting smells from the bakery can trigger your appetite. The oft-heard advice to avoid grocery shopping when you are hungry makes a lot of sense and if it cannot be avoided, some people find it helpful to chew some sugarless gum as they shop. –Choose a small shopping cart, unless you intend to do major stock-up shopping. It is unclear how universal this is, but in some market research, large size carts lead people to buy more. –Decide how much you want, rather than letting signs decide for you. Market research suggests that when a purchase limit is posted, shoppers tend to buy the maximum. But if you truly only want one or two packages, don’t buy more. –If the store is out of something on sale, ask for a raincheck, allowing you to pay the bargain price when it will be back in stock. AICR HealthTalk is by Karen Collins, MS, RDN..
Karen Collins, MS, RDN, CDN, is AICR’s Nutrition Advisor. 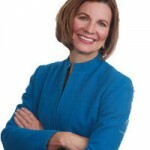 Karen is a speaker, writer and consultant who specializes in helping people make sense of nutrition news. You can follow her blog, Smart Bytes®, through her website and follow her on Twitter @KarenCollinsRD and Facebook @KarenCollinsNutrition.